Dermot led us in a service through which we were able to think about our relationship with God and each other. He Called us to Worship by reminding us that all creation speaks of God and then invited us to join with creation to reveal God through our worship and praise of him. Hymn TIS 137 "For the beauty of the earth, for the beauty of the skies" expressing our thanks and praise in a familiar way, known since childhood, for all that God showers upon us. In the Prayer of Praise and Thanksgiving, Dermot kept our attention on God's gift of creation, expressing our appreciation of all the minute details of God's handiwork and confessing that we often miss the vibrancy of what is directly in front of us. He continued, praising God for the way creation touches every one of our senses but then confessed that even with such opportunities, how we still miss God right beside us in created things. Dermot claimed the forgiveness that is offered to us and spoke of how our thanks swells within us, blessing God's' name. After receiving the Offering, Dermot prayed that with God's blessing it will do great and powerful things in His name. Hymn TIS 569 "Guide me O Thou great Jehovah" We acknowledged our weaknesses and inability to negotiate our way without God's wisdom and thanked him for his gift to us. Scripture Readings. Philippians 3: 17 - 4:1 The Philippians are being exhorted to stand firm in their faith and are being assured that those that follow any other way are not going to end well. This is not a threat, it is simply a reminder that if you don't follow the maker's directions, the product won't work. Luke 13: 31 - 35 Jesus is warned that he is in danger but is not intimidated and says to tell openly what he is doing. The next section would have sounded very confusing except in hindsight after the Passion. Then, Jesus predicts that they will understand and Bless his name. Sermon Dermot acknowledged consulting the online help of Bill Loder for guidance in analyzing the text and explained that Paul was frustrated in his attempts to guide the new Christians in their faith. Many of the Christians were Jews and wanted to cling to their Jewish rules, despite now being under the New Covenant. They shouldn't be blamed for this because those rules had been their security for so long. At the same time we can imagine Paul's frustration: Why did Jesus come? There was a new way. A New Covenant. They were released from the old ways. Many of these old ways applied to dietary laws and other laws affecting the body, which could be adhered to without a Temple and still cement their Jewishness. This approach had grown out of their exile when there was no Temple and when they were surrounded by other religions. So laws were stressed which would prevent their merging with non -Jewish people. They would keep their distinctness. But did these laws bring them closer to God? Did it make them a vibrantly God-centred people? It seems not. So Jesus came to put an end to it and open the door to the New Covenant. And Paul is taking a big stick to those who want to cling to the old ways. Then in the words of the next hymn we asked that God would safeguard our adherence to the new way. Hymn TIS 407 "Breathe on me breathe of God" - "until this earthly part of me glows with thy fire divine". Enough said. We began Prayers of the People with a time of contemplation, bringing our own needs before God and then Dermot led us in praying for the personal concerns of the congregation. Our final Hymn TIS 106 "Now thank we all our God" again we thanked God and gave praise for all the multitude of blessings he gives us. Let us praise your great and glorious name, you are Holy Lord. Hymn TIS 143 “Immortal, invisible, God only wise” It is interesting that God is hid from us but we know him so well. Prayers of Praise and Thanksgiving Jan led us in Thanking our God for blessings beyond anything we could have ever imagined ourselves. Isn't it so? We sit, having a quiet complain that we don't have everything the way we want it, while all the time missing the magnificent blessings we do have. Prayer of Confession For us, Jan confessed our smallness of thought and vision which prevents us seeing God with new eyes, trapping us and causing us to "refuse to believe in connections with your sacred being." For this we asked forgiveness. Words of Assurance "Our God, in Christ, is indeed near to us... Let us believe that we can see this love above us and beside us. For we are forgiven!" Thanks be to God. Offering Jan prayed that our gifts would be blessed for use in the community and wider world for the healing that is needed, in Jesus’ name. Amen. 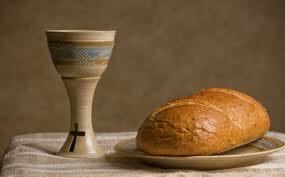 Hymn TIS 537 “Let us talents and tongues employ” We speak of our experience at Communion. We are aware that we are bound together by the Spirit that pervades the whole service. Holy Communion –Iona liturgy Both our readings today tell of people being overwhelmed by their knowledge of God's presence. In our Communion service we are invited to share in a tradition where people open themselves to the presence of God, symbolized by bread and wine or juice, in remembrance of the sacrifice Jesus was prepared to make for us. It was a sacrifice of love made for all people, not because anyone is or was worth that sacrifice, but because Jesus loved us enough to die, rather than turn aside from his mission to show all people the way to wholeness. And that is ALL people. The invitation today is "So come to this table You who have much faith And you who would like to have more; You who have been to this sacrament often, And you who have not been for a long time; You who have tried to follow Jesus, and you who gave failed. Come. It is Christ who invites us to meet him here." Nobody is worthy in their own right but we are all invited because we are all, every one, loved by God. And so we ask towards the end of the service: "Hear us now, O Christ And breathe your Spirit upon us. And upon the bread and wine. May they become for us your body, Vibrant with your life, Healing, renewing and making us whole..." But all invitations only take effect when we say "Yes" to them. Prayer after Communion Jan prayed for the power to keep us walking in the footsteps of Jesus. Bible Readings Laurel read to us: Exodus 34:29-35 The Israelites knew that Moses had spoken with God simply by his appearance. We often know people who have been touched by God and their affect on us is as it was for the Israelites. We know we have to listen to them. Luke 9:28-36​​ The disciples knew Jesus was being shown to them in some special way. Peter, not knowing how to cope with this, made an offer that wasn't particularly useful or relevant. But God spoke to their hearts and they knew the truth of Jesus. Sermon 'Encountering the uniqueness of Jesus and his transforming power’ Jan began by asking us if we had ever had a time when we had been very aware of God's presence. 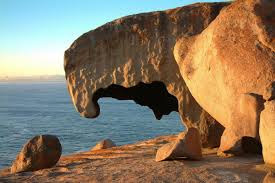 She continued, speaking about her recent holiday and how the many natural formations and processes had been a reminder to her of God's power, his constancy of love and Grace. She was reminded of God as life's "great lifesaver, and if and when the waves knock us off our feet, or we get in too deep, he is there for us." Our experiences can be different but our faces can shine with the joy of the moment. These are times when God shows us something other than the ordinariness of life. Jesus came in love because the world was going off course and needed God's mercy and healing. He came to bring life, purpose and direction to people and patience to deal with the ambiguities and mysteries. Jan spoke about so much more but space prevents my writing any more today. The chorus was telling: Open your eyes, see yourself, In the one who's shining on the hill. Hear the voice say to you "This is the one I love." Musical interlude before prayer While we sat in contemplation, quietly considering our own needs and those that concern each of us in the world around. A good time. 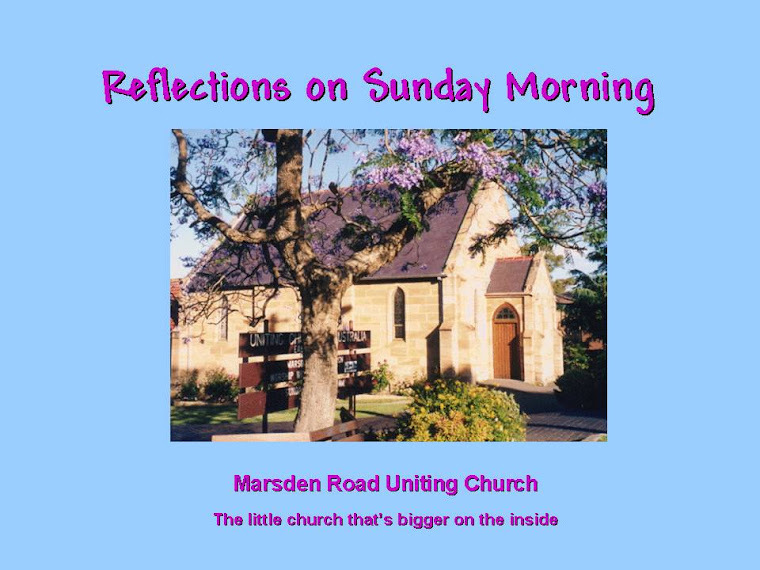 Prayers of Intercession – Jack told us of the need for prayer as Nth Sydney and Kuringai presbyteries unite. Each has been run differently and now those differences will have to be negotiated. He then prayed for our personal concerns and for our leaders followed by The Lord's Prayer. Hymn TIS 474 “Gather us in” Gather all of us in. That can only happen if we, God's hands and voice, make his invitation clear to the world. His invitation of love. Claire told us about that last week. Blessing May the blessing of God who is the Father, Son and Holy Spirit be amongst you and remain with you, always. Blessing song TIS 778 ‘Shalom to you now’ God's greatest blessings be yours. Amen. Welcome to worship this morning. Claire led us: "As a visitor in this place, I pause to acknowledge the Barramattagul people of the Dharug nation. I honour them for their loving custodianship of the land on which we gather." Claire then introduced the theme of love, saying that it is never easy but if we follow Christ, "we cannot avoid the privilege and responsibility we have to be people of love." Not only did those words privilege and responsibility hit me, but so did others Claire used in the same welcome: scandalously inclusive. Jesus gave his life gathering in ALL lost, broken and fallen people in his work of love and commissioned us all to do the same. ​"'I am the light of the world’, said Jesus to his followers. ‘You are the light of the world’, said Jesus to his followers.'" ​The work of the Creator is visible. ​Let us respond with praise. ​The example of Jesus is apparent. Let us respond with obedience. ​The wind of the Spirit is blowing. Let us respond with joy. ​The Word of God is calling. Let us worship in spirit and in truth. Song​TIS 477 "Jesus calls us here to meet him" This song reminded us of Jesus' promises and of our part in his plan, which constrains us to praise him and to tell his story to others, remembering that Jesus saw none of the differences between people that we might see. As we grow more like Him, we will become blind to minor things that cause some of us to use the word "stranger" when Jesus knew no such idea. Prayers of Praise and Thanksgiving. Today's prayer took the form of a video: John Rutter ‘Look at the world’. As I watched this video of the Earth's magnificent structures, the never-ending Cosmos, the variety of living types and the representation of the cycle of decay and emerging growth, God's vivifying presence sank into my awareness. ​All the gifts we share and all the blessings, ​All things come from thee. Amen. Claire prayed on our behalf, acknowledging that we are fully aware of the contrast between our own meanness and God's extravagant love and kindness. She went on to confess our consciousness of the barriers we place between ourselves and God. She confessed our need to be forgiven and to forgive, to receive hope to live graciously and prayed that we be taught how to live lives of grace, generosity and love. "Hear now the cry of the apostle John: ‘How great is the love the Father has lavished on us, that we should be called children of God. For so we are.’ (1 John 3:1). Brothers and sisters, know and be assured that by the grace of God, through the love of Christ, in the power of the Spirit, you are forgiven and free, accepted and loved.Thanks be to God. Amen." Song​TIS 229 "Jesus loves me, this I know" A simple song communicating everything we need to know: that God reaches out to each of us in love. Love puts everything back together. Claire demonstrated, through the use of a not-so-magic, magic trick that it's love that holds us together. Song​TIS 153 God is love! As we sang together, I became more and more aware of the love that holds this congregation together. The same love that was there before the universe began and created every last atom of creation. That love which shines from the genius of each structure, living and non-living. Claire's reflection began with a comment on how popular the 1Corinthians 13 reading is at weddings because it has "no awkward references to God or Jesus to dampen the mood." But then that led on to her raising a most important point that I have never thought upon - the context. As a stand-alone passage this reading is a good lesson in Christian living but when we consider the context, it becomes something much more powerful. The Corinthians were behaving in a most un-Christlike manner. As in any congregation, the gifts varied from person to person but instead of being grateful for any gift each had, contributing to the whole, there was rivalry about whose gift was the most important. Claire pointed out that we are "one body." 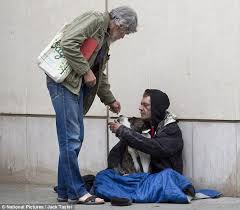 We are all needed, and none is more important than the other. But the bigger lesson was, and is, that whatever gifts we have they count for nothing without love. When Claire emailed her sermon to me, she sent the whole document including sections which she had omitted because of time. I was so taken with one of those sections I thought it was worth including in full. We don't take each other to court over perceived grievances the way the Corinthians did, but we do nurse hurts and grudges. "Let’s hear again what Paul says love demands. I’d like you to close your eyes and whenever you hear the word ‘Love’, silently say your own name. ‘Love… is patient and kind and envies no-one. Love... is never boastful or conceited or rude. Love… is never selfish. Love… is never quick to take offence or hold a grudge. Love... doesn’t enjoy being proved right or being better than others. Love… hangs in there with people through thick and thin.’ … Friends, I don’t know if I could say all that of myself, all the time. Could you?" Another point that hit home was that about who we are to love: 'God's love is to the alien - and enemy". When the people realized that, they killed Jesus. Can we pray with all our hearts for the well being of ISIS, or Vladimir Putin or a child molester. What miracles might be wrought if we could. Song​TIS 648, vv 1, 2 and 4. A prayer that we may understand how we are all part of Jesus' kingdom of loved children, regardless of any superficial differences. A prayer that we be taught to see the fallen humanity we all share and the needs we all have and can only meet by caring for each other. Pat prayed for our leaders nationally and of the church, especially Jan, as she ministers to us here at MRUC. She prayed for all those suffering and grieving, especially those known to us. We then joined in The Lord's Prayer. Song​TiS 152 Joyful, joyful we adore you Joyful, joyful we adore you, ​God of glory, God of love; ​Hearts unfold like flowers before you ​Opening to the sun above...Fill us with the light of day. That's a wrap! Blessing song ​TIS 778 Shalom to you now, shalom my friends. May God’s full mercies bless you, my friends. ​In all your living, and through your loving, ​Christ be your shalom, Christ be your shalom.